I have hinted in previous posts that controlling my pain is a big problem. Let me state it clearly here: The scariest, most gigantic problem I face is controlling my cancer pain. September is Pain Awareness Month. It’s fitting that I am finishing my post on the next-to-last-day of the month. I’ve been working on it all month. That’s one way pain has affected me, by slowing me down. I want to describe my pain, for those who may be curious, and tell you about an organization that advocates for people in pain and their caregivers. I have learned that even the best oncologists know little about pain control for patients with chronic pain. I believe patients often hope the pain will go away, just as they hope the cancer will go away, and sometimes suffer in silence. One reason I’m writing about pain is the hope that I may encourage other cancer patients to speak up about their pain. There’s rarely a day when I can hop out of bed and run an errand first thing in the morning. I awake to pain, because my pain medicine only covers 8 hours. I take my morning dose, then stay under the covers, until sitting up or moving my legs doesn’t cause aches. If I’m having a day of high pain, just shifting in bed from my left side to my right side produces a sharp pain, as if someone has kicked me hard in the ribs. My bone pain hurts the worst. Cancer is in my spine, ribs, pelvis and other bones. The cancer eats away at the bone. I haven’t asked if the cancer creates microscopic cracks, or holes. I don’t really want to envision my cancer that clearly. Some cancer patients have few painful tumors, or none that are painful. Not me. Pain was my first signal that I had cancer, both in 2008 when I had a tiny lump in my left breast (Stage I) and in 2011 when the cancer had metastasized (that’s Stage IV, the worst). The cancer in my ribs is very painful, whether I am standing up, which requires my bones to bear weight, or lying down, which puts pressure on the bones. I have cancer elsewhere. The tumors in my lungs aren’t painful, but they cause me to have difficulty breathing, which is painful. I had radiation on two areas of my spine in December 2014 to reduce the pain. I still have residual, unpleasant side effects from the radiation. My legs tingle painfully from hips to toes if I spend too long on my feet. The sensation is similar to your leg “falling asleep” but it’s a sharp pain, and moving about doesn’t alleviate the pain. The radiation did help the spine pain and I’m grateful. I’m not sure if I would do it again, if I had the chance. I won’t have the chance — bones can’t stand up to radiation more than once. 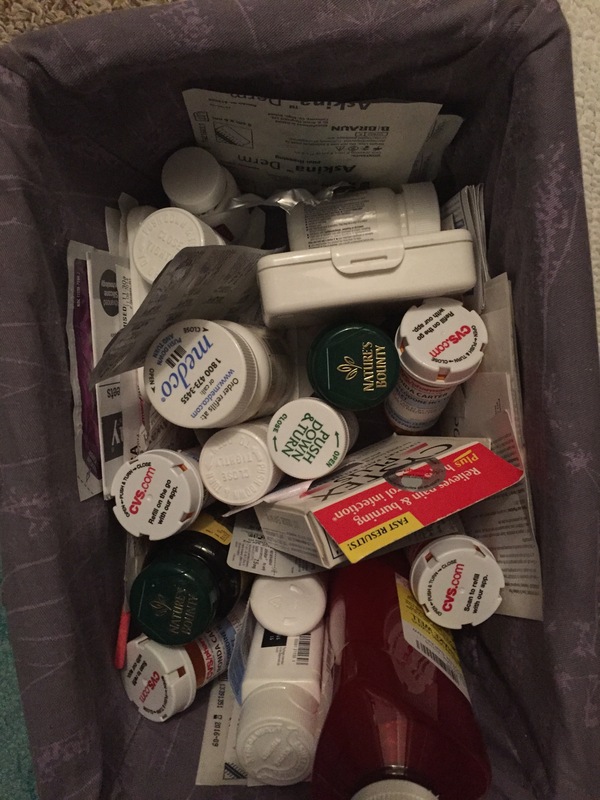 One of the worst bumps in the road of pain control was learning that my body builds up a tolerance to pain medication, just as it does with antihistamines and other drugs. I can’t predict when this will happen. There is little warning. One day the breakthrough pain becomes worse, and my breakthrough pain dose doesn’t stop the pain. I become disoriented, flushed and above all, I just want the pain to stop. I have learned that this is a sign my body has built up a tolerance to the drug. It’s like withdrawal. I haven’t stopped taking the drug, but my body experiences withdrawal as it craves more and more of the drug. So I suddenly have to battle the cancer pain, and the pain brought on by a growing tolerance to a particular medicine. Both my cancer pain and medication side effects can appear quickly and full-force, without any small aches or manageable side effects as warning. One moment, I’m enjoying a restaurant meal with friends, then suddenly, I break out in a cold sweat, voices become muffled, lights seem to swirl. It’s hard to answer when people ask if I’m ok. I want to say, “I WAS doing just fine.” That’s the peculiar nature of pain relief. I once made the mistake of stopping a pain medicine abruptly, because my growing tolerance had forced my body into constant aches, chattering teeth, and other side effects I could not endure. I felt like I had the flu for the next 48 hours. I know now that medicine is available to help ease the side effects when my tolerance grows. In addition, stopping a pain medicine suddenly can be dangerous. I made a rash decision, which is common in people on pain medicine who are in distress. Please let my experience teach you, so you do not have to go through what I did. Don’t stop taking your pain medicine without a doctor’s supervision. And don’t make any serious decisions without discussing them with a person you trust. I’m grateful that strong narcotics are available for my pain, but it’s not an easy ride. I have developed empathy for drug addicts. There is no “high” when the drug works for me. I suspect most drug abusers do not feel high, either. The drug eases their sensation of pain, just as it does for me. That’s another thing I have learned about pain medicine. I once believed that opiates actually relieved the pain. Not really. Pain is a sensation. The medicine keeps me from awareness of it. It’s kind of like putting your hand in a bowl of ice water. If something disrupts the message from your hand to your brain, you won’t feel the cold, or you won’t feel it as sharply. However, your hand is still in ice water. And your skin may suffer from the effects. Sometimes I wonder if my body suffers from the effects of the cancer that I can’t feel. Like my knowledge of my bone cancer, I prefer to keep my knowledge of pain at a simple level, to discourage needless fretting. After years of searching, I now have a pain doctor who helps me tremendously, at my city’s Hospice and Palliative Care center. The center isn’t just for people in their last days. The Palliative Care division treats patients with chronic, terminal diseases. I meet with my pain doctor every month or two, and information about my care flows between all of my doctors. A few months ago, I was interviewed for a story in Pain Pathways magazine, and through that I found out about the U.S. Pain Foundation. The group serves as an advocate not just for patients but for caregivers, too. It was a relief for me to discover that there was a group that actually cared about my pain. It’s important for cancer patients and others in pain to have national-level advocates. There are many issues that need attention. For example, our country has a serious problem with prescription drug abuse. Sometimes, laws designed to curb addiction actually make life harder for patients with chronic pain. For example, no one is allowed to pick up my narcotic prescription but me. That’s a good law, but what if I’m too sick to leave the house? The U.S. Pain Foundation educates lawmakers and other interested groups about patients in pain. In addition to the website, the organization’s outreach includes support groups, and Twitter chats with pain professionals. I was so happy to learn about the pain foundation that I have become an ambassador for the foundation. I especially want to help cancer patients learn about pain control, BEFORE they need it. If you know someone undergoing treatment for cancer, would you let them know about the U.S. Pain Foundation? It’s something he or she may not need now, but it’s good for everyone to know help is available when it’s needed. 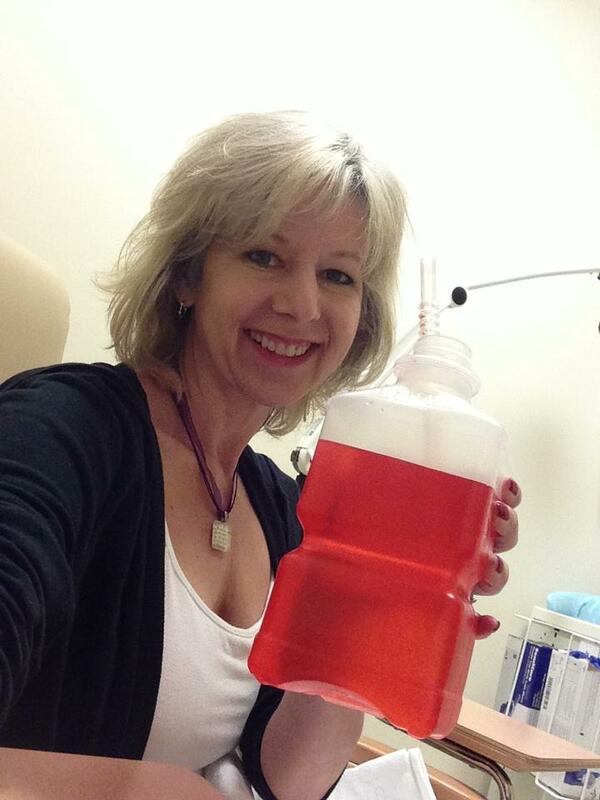 People often ask me about how I discovered my breast cancer had returned. When breast cancer first presents itself, it’s often a lump felt by the patient. Sometimes it’s a total surprise, and only a mammogram or other medical test detects the cancer. I know some people ask because they are curious. Some are frightened of discovering their own cancer or their own recurrence, which means the cancer comes back in the breast, or metastasis, when it spreads outside the breast. Perhaps it’s more accurate to say that the cancer had been there the whole time, but had not been detectable until that time. It’s a controversial subject, whether women whose breast cancer metastasizes have had it in their body the whole time, or did it “escape” from the breast before, during or after treatment? I won’t say anything else about that issue here, except it can cause a lot of heartache and guilt for the cancer patient, wondering what they did wrong. I had been in pain for several months when I had the CT scan that found the breast cancer had spread to my lungs. I had gained 20 pounds despite daily stair-climbing (15-30 stories). I was getting weaker and weaker and had to break up my mid-day climbs into 3 sets of 10, morning, noon and night. I don’t know how I exercised. I self-medicated with 4-5 Advil every 4 hours and huge amounts of wine to get through every day. I would wake up at night with terrible pain in my chest, unable to get my breath, even worse than when exercising. and I could be on his health insurance. I had already looked up pre-existing conditions — I had been treated for breast cancer more than 3 years ago, so I was OK there. It was a slow process of diagnosis. I had X-Rays, sonograms and mammograms, and NOTHING showed up. Which was very frustrating, to be in such horrible pain, with nothing to show for it. I was so happy when my mammogram was clear. Then terrified when I realized that just because my breasts were clear didn’t mean I didn’t have cancer somewhere else. I had experienced mild bouts of asthma, so doctors told me it was just asthma. My family doctor, Emily Taylor, was my ally. She had done an internship on the breast cancer floor of Sloan-Kettering Cancer Center. I had tried to call Sloan-Kettering in October and get an appointment, but the nurse told me I needed a diagnosis to be seen. Meanwhile, the rest of my newlywed life in New York City was a disaster. The face Jeff and I tried to present to our friends and family was of stability and strength, but despair followed us around like a new puppy. I won’t even begin to describe our lives, because it was so unbelievably sad. We kept hoping that one day the bad news would stop, but it didn’t. Just one example: In the summer of 2011, we learned that the “corporate apartment” that we had been living in didn’t belong to Jeff’s boss at all. It belonged to a man who wanted to move back in, right away. We didn’t have the 3 months rent required by most New York landlords (first, last, and security deposit). I found a 3-month sublet on Wall Street, with only one month’s deposit required, and we hoped by the end of the lease, we would have enough money saved to sign a 1-year lease on the apartment. Only the owner decided he wanted to sell, not lease, so we had to move twice in 3 months. I managed to find ANOTHER short-term lease. But the apartment was furnished, so we had to pay to store our belongings. My CT scan was on a Friday afternoon. Afterward I drank enough alcohol and swallowed enough Advil to go to Jeff’s company Christmas party that evening and seem jovial. But I was worried. In North Carolina at my in-law’s house, I worked on the morning of Dec. 19. My husband came upstairs a little bit before lunch to tell me that my family doctor had called his phone. My phone had been stolen out of my pocket on the way back from the hospital after the test on Friday. I had emailed my doctor this news, along with my husband’s phone number. On my lunch break, I called Dr. Emily Taylor. I know doctors must dread these calls, so I tried to sound upbeat in my responses to her. She told me I had lesions in my lungs and pleura. The breast cancer was back. Later tests would show the cancer in my ribs and spine. The cancer was not in my liver, which was good. And it was nowhere in either breast. To this day, I am a huge opponent of double mastectomies for tiny Stage 0 or Stage 1 cancers. I respect a woman’s right to choose, but I believe too often, decisions are made out of fear and ignorance. I see many women who are sad and angry after going through multiple surgeries and chemo, and yet the cancer returns. I know there are some types of breast cancer where the patient does not have a choice, she must have her entire breast removed. It is not my intention to criticize, only to beg people to educate themselves. So, back to the news. It was horrible news because we didn’t know how long I had to live. We were hoping the cancer was slow-growing, as my original breast cancer was. The doctor wanted me to go immediately to a local lab and have some blood work done. And we started that day setting up appointments for biopsies, oncology visits, and on and on. It sounds so bleak to write it now, but it was not a sad time. That Monday, I had a special lunch planned with both my sisters and my mother. My sisters were sitting downstairs in the living room as I spoke to the doctor about my cancer. What a comfort it was to have my sisters, husband and mother-in-law there to hug and console me. As tragic as it was to lose my phone and the photos, had it not been stolen, I would have heard the news about my cancer in New York, possibly before the work party. Or before a 13-hour train ride. As it happened, I heard the news surrounded by the people who loved me most. The journey was just beginning. Shock cushioned the blow. A local doctor who had previously treated me was able to give me some strong pain medicine, but just barely enough to get me back to New York. And my son was coming back with me to New York to spend New Year’s Eve. He had lived with me in New York for awhile, but was now living with his father in Winston-Salem, which was heart-breaking to me, yet I knew it was best for him. How was I going to spend time with my son when I was in so much pain and distress? God found a way for it to all to work out. When I tell my recurrence story to friends or strangers, I am often laughing as I talk. It’s not nervous laughter. It’s joyful laughter. God found a way to bring exceptional riches to my life through Stage IV breast cancer. Managing my pain has been the most difficult task. Despite the pain and sorrow of cancer, I feel blessed beyond measure. In the year that followed my diagnosis, my sister-in-law, then my sister, came to stay with us in NYC for a few weeks at a time, to take care of me. We became even closer and I learned so much from them about how to be a better cancer patient. My sister-in-law, Stephanie, cooked for my husband and me, helped me organize my medicine, helped improve my diet. 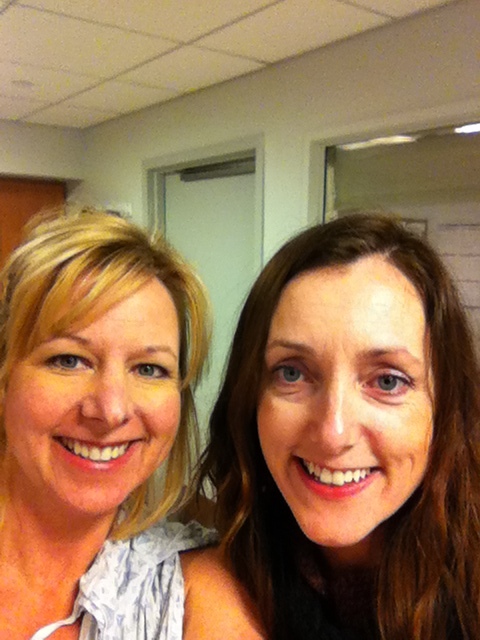 My sister, who is a nurse, helped me to be a more demanding patient, to not be satisfied with half-answers. Her meals were delicious too. Both ladies slept on the same lumber-hard fold-out sofa, never complaining. My husband has continued to be the most wonderful, constant husband, provider and comforter in my life. He had been drinking too much when I was diagnosed. It scared me, I told him I couldn’t take care of myself if I was worrying about him. He immediately stopped drinking, then stopped smoking. He began running and competing in races, 5k at first, to marathons and half-marathons. He ran his first NYC marathon in 2013 and deferred this year’s entry until 2015. He amazes me every day, and is now in triathlon training. 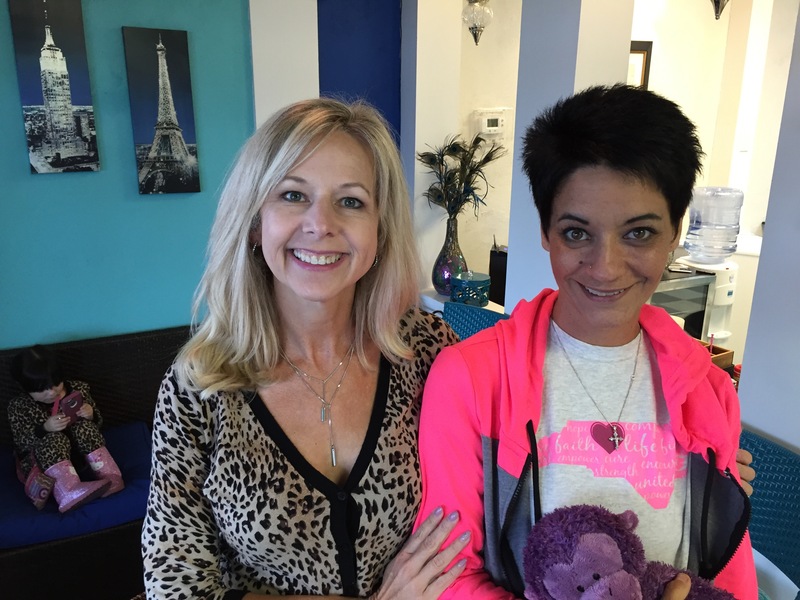 I have had many wonderful experiences since being diagnosed with stage IV breast cancer. I celebrated my first birthday after the stage IV diagnosis in Jamaica with my husband, my ex-husband, his spouse and our children. (How’s that for togetherness?) I’ve also travelled to California wine country; Disney World and Universal Studios; Savannah; N.C.’s Outer Banks, St. Petersburg, Florida and other memorable places. Every three months, I travel to New York City for tests and doctor consults at Sloan-Kettering Hospital. I still have more good days than bad days. I know it won’t always be that way. I’m preparing myself for tomorrow and the next life, at the same time, as much as I can. When I was diagnosed with Stage IV breast cancer, one of the saddest things for me was saying goodbye to work. At the time of my diagnosis, I was working about 20-30 hours a week as an online editor and other tasks related to the English language. Slowly, that dropped down to 10 hours, and then none. It hurt. The medicine affected my memory and the pain affected my concentration. It’s been almost 3 years, and while my cancer isn’t any better, I have been able to get my pain under control, and for the moment, my condition is stable, meaning, there’s a lot of cancer in my body, but it’s not growing very fast. Like most opportunities that come my way, it started with me saying no several times. My mom invited me to a Mary Kay makeup party. I didn’t want to go. I went, and immediately connected with Amber Smith, the Mary Kay consultant. I found out that Amber’s mom died from breast cancer. Amber invited me to join her team as a Mary Kay consultant. I told her I didn’t want to sell. One night soon after, Amber was working at an event downtown, and I walked over to say hello. I later ran into a fellow board member from Sister Cities Winston-Salem. I resigned from the board when I moved to Texas, but the chairman had been asking me for months to rejoin. Suddenly at that moment, I felt like God was giving me the OK to try some things. I told the board member that I would be back on the board soon. Soon after, I found myself considering the possibility of selling Mary Kay. What was fueling my desire was the belief that I could use Mary Kay to make women with cancer feel pretty, to feel like their old selves again, as I did that evening in downtown. But I wasn’t ready to commit yet. I ordered a starter kit, and began dreaming big and praying hard. Last week, my Mary Kay starter kit arrived. It was very exciting. 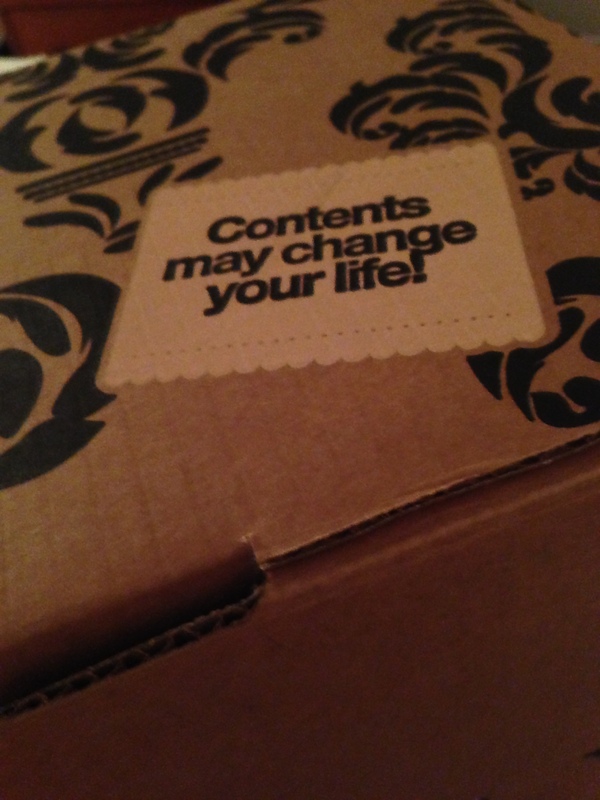 The box was adorable, with motivational statement inside and out. I began discussing the idea with my husband and he helped me tremendously with my mission statement and general advice on running a business. I haven’t even begun to explain the financial miracle that allowed this business to begin. I’ll share that later. In the first photo, you can see me with my own set of Mary Kay potions. I’m not giving anything to cancer patients I haven’t tried myself. My cancer treatment had made my skin crazy-sensitive. Some nights, I slather on Benadryl cream like some women do with night cream, before bed. Today, I announced my business on Facebook. It’s actually 2 businesses. The one I announced today is Look Closer, the project that will deliver gift bags of Mary Kay products to women with breast cancer. I want to do much more with this organization, but for now, I’m starting with gift bags. The other part of my business is simply selling Mary Kay. I will be accepting donations to help pay for inventory for the gift bags, but I will also be in business for myself, and I hope to make enough money to contribute regularly to the inventory of Look Closer. I am ready for my life to change and to change lives. Here I am, Lord. Send me.